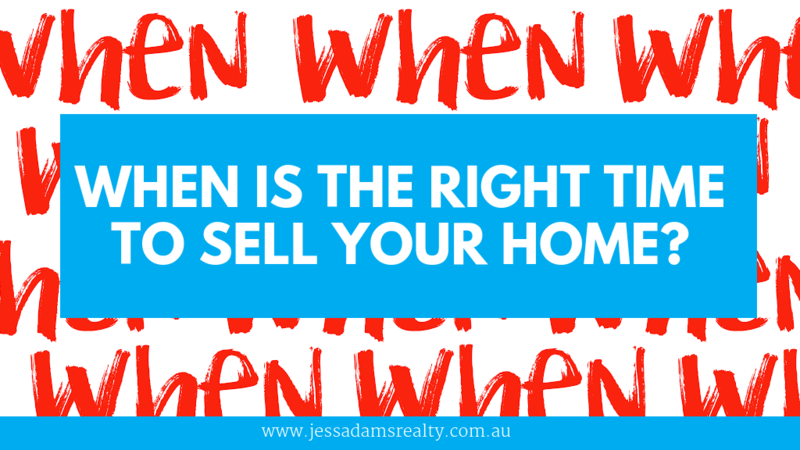 To understand when is the right time to sell your home and the art of timing in real estate – you have to understand how the market works and the things that influence buyer behavior. IS IT A SEASONAL AFFAIR? The spring season may attract a lot of sellers, but this does not necessarily translate to higher returns. Given that the supply is higher during this season, buyers are spoilt for choice and are thus unwilling to pay high amounts of money for properties. They may even be tempted to take their time before settling for houses, in the hope that a better deal will come up since everyone else is selling. This season is quite significant in real estate. Summer falls at a very significant time of the year – the beginning. This is a time when a lot of people are planning and setting their yearly goals. A lot of people make the decision to invest at around this time when the year is still fresh and they’re less fatigued. Moreover, a spillover of buyers who missed their dream homes during the short-lived spring season is likely to occur. Given that spring ushers in the festive season, house hunting may be placed on a hold as families get together to celebrate the popular Christmas and new year holidays. While considering this season as the perfect time to sell, take note of the fact that people prefer to move during summer. It’s convenient, the weather makes the moving process easier and children are on holiday which leaves the parents with a little more free time. This is one of those seasons that pose few challenges to real estate sellers and buyers. The weather is friendly and the year is still young, but one thing stands out during autumn – there is less competition. The spring rush can be too much for sellers. Therefore, the autumn presents you with fatigued sellers and fewer open houses. This means there are more serious customers who need to move urgently but they have fewer options. These buyers are more likely to decide quickly and offer higher prices as they’re not buying seasonally. They are buying because it’s necessary. Winter seems like the worst time to have an open house, but you’d be surprised by real estate buyer behaviour. Experienced house hunters understand the tactics used by sellers during open houses. They’re not easily pleased by nice scents and perfect lighting displayed during peak seasons. They prefer to view houses when the conditions are difficult to manage because they want to be sure a house can survive the toughest of weather seasons. As a result, they intentionally ignore all the spring hype and view houses during winter. In addition to this, other buyers are forced by circumstances to move urgently. A new job, for instance, may force a family to move immediately. As a seller, you can make good returns from such hasty movers, considering that competition is low during this season. Undoubtedly, the real estate market is highly affected by political and economic climates. A good political climate, for example makes selling easier for homeowners. Notably, the property world has a naturally rising and falling curve for varied property types. Buyers may be interested in stand-alone family houses in the outskirts of a city for a period of two or three years until they suddenly decide that apartments in lively neighbourhoods are the in thing. In situations where the market is declining, consider selling immediately regardless of the season since you can’t afford to wait until the market is revived. Overall, selling your home may require more than a basic understanding of seasons. You need to engage experienced agents to understand current market trends in your location. An expert will be able to predict whether the sale of your home will be a smooth or bumpy ride, depending on the political calendar, economic developments in your neighbourhood and the general economy. Expert tips will save you from potential loss and gear you towards higher returns. Whether you’re selling during the peak or off-peak season, your price needs to be strategic and realistic. Pricing affects the speed at which your property will sell. As much as you want the highest returns for your investment, competition can be tough in the real estate world. Therefore, work with a professional who will help you understand how to price your property according to its value and the current market price. It’s spring and the buyers are out hunting for homes. Everything looks fresh and green, except your house. It has a tired front yard and sad looking walls that have taken a beating from weather during the last year. The odds may be favourable – but not for you. In such a scenario the timing won’t matter as your property isn’t well presented. Hold back going to market until you can present a well-loved and cared for home that will look inviting to potential buyers. The right people will not randomly walk into your open house unless they’re aware of it. Know your target audience and market your property to them effectively. To sell your home faster, you need to make use of available tools to ensure you stand out in a crowded market. Invest in professional photography and use the images to sell your house online to potential buyers. Online platforms will help you cast a wider net as you’ll be able to reach out to buyers everywhere and not just locally. You may feel the need to invest in research, renovation, marketing and selling all by yourself. Is this a smart move? That depends on how much time you have on your hands. Timing in real estate entails knowing when it’s time to do it all by yourself and when it’s time to hire professional help. Work smart by calculating the amount of time you have to close a deal and the input required, in order to make good returns. It’s always advisable to work smart by engaging experts who will make work easier for you, speed up the selling process and increase your chances of selling at a reasonably higher price. In a nutshell, whether it’s time to sell your home or not depends on all the above factors. Before making this huge decision, assess your situation and determine why you want to sell in the first place. Thereafter, engage the right people to understand market trends. Finally, evaluate your capacity to compete effectively and then decide whether the time is ripe.